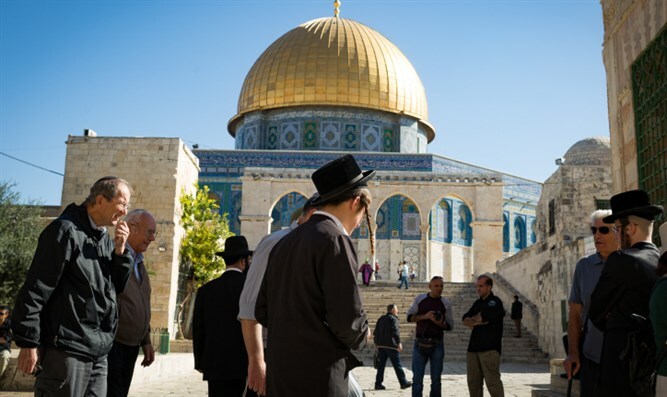 MainAll NewsRadioUnited States Opposed to Jews Visiting the Temple Mount? United States Opposed to Jews Visiting the Temple Mount? This week's 'Temple Talk' compares ancient Egypt to modern purveyors of falsehood, from the PA to the US State Dept, to Haaretz newspaper. This week's amazing edition of Temple Talk explores the theme of the Ten Plagues in Egypt and Pharaoh's denial of the existence of G-d, as our hosts compare ancient Egypt to modern day purveyors of falsehood, from the Palestinian Authority to the US State Department, to the shameful pages of Haaretz newspaper. Join Yitzchak Reuven and Rabbi Chaim Richman as they rail against fictitious reality-- known as Fake News - and make a stand for the only truth, Hashem, the G-d of Israel.